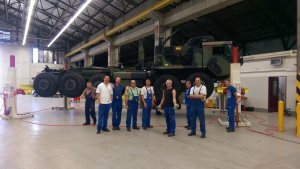 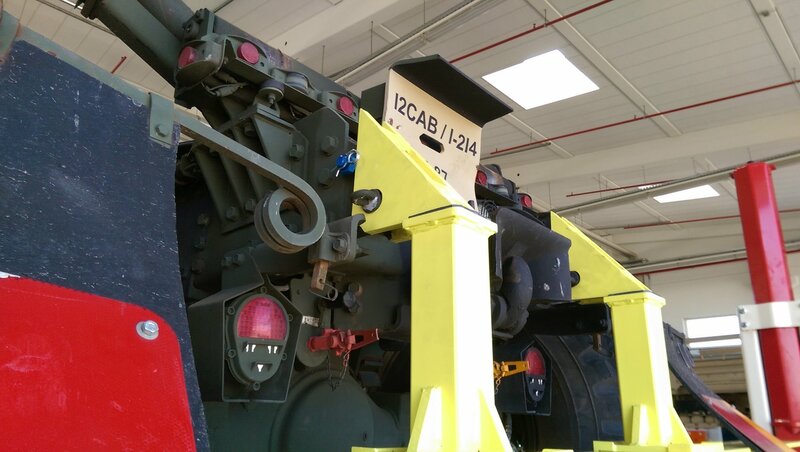 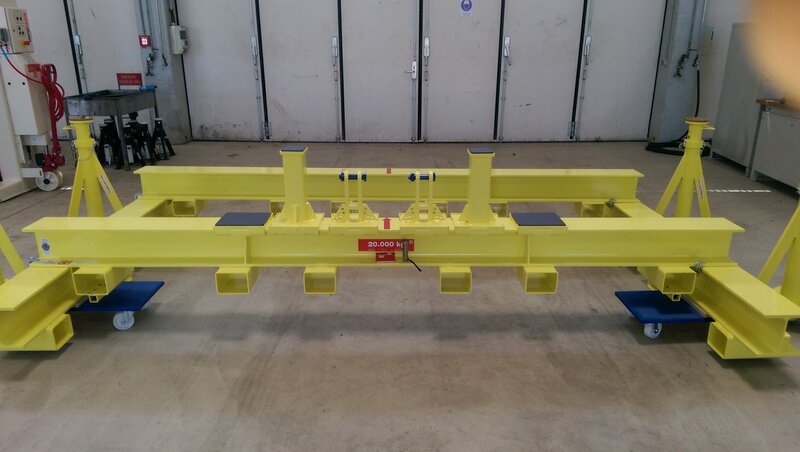 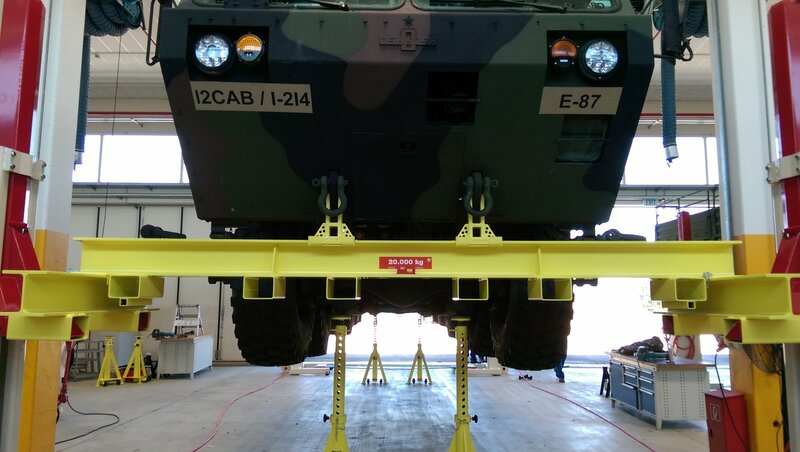 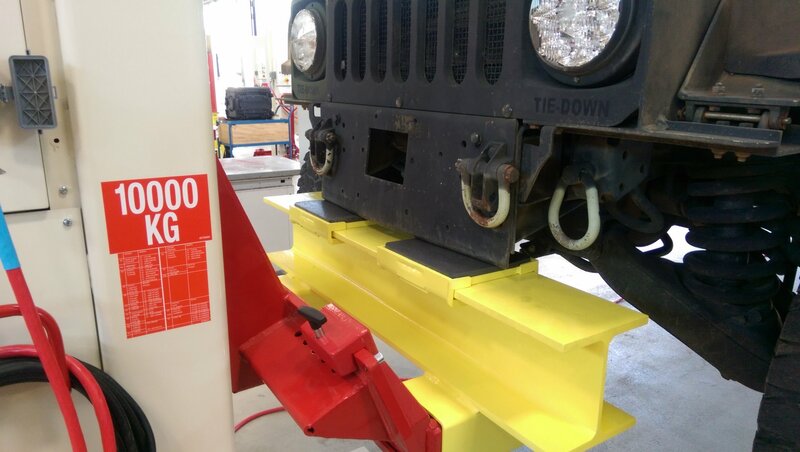 Multi vehicle lifting system (MVLS) This mobile system can lift all Military vehicles wheels free. HEMET, LMTV, FMTV, HLS, PLS, STRYKER, HET, HET trailer, LMTV Trailers, PLS trailers, MRAP, and one system can lift two HUMMWV’s at the same time. 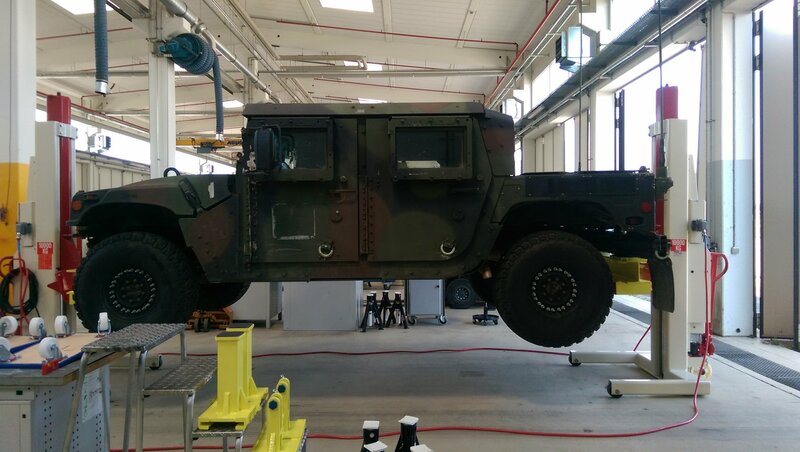 (including up armored vehicles). 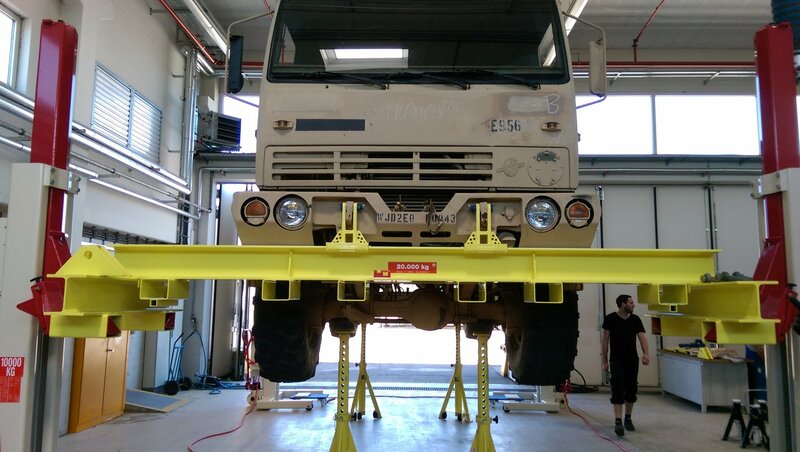 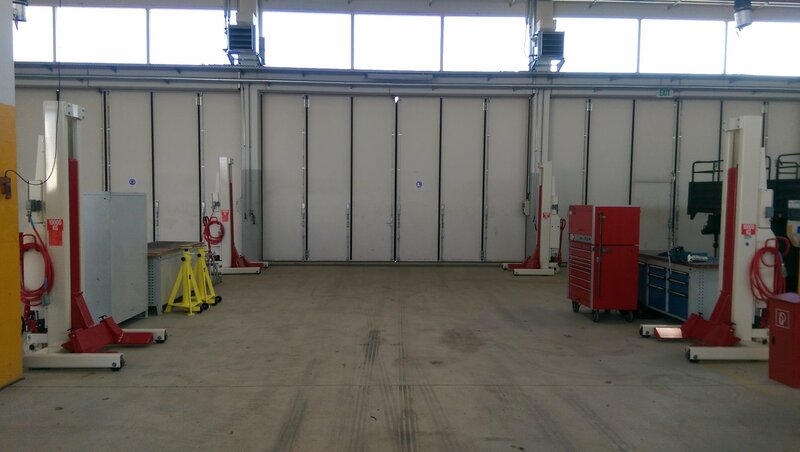 The MVLS will allow you to perform services and repairs in half the time needed now, is deployable, allows you to lift all your vehicles with One system, is mobile and can be stored easily when not in use, can be use indoors or outdoors, and is safe and easy to use.